jesus christ | Brian Mickelson…. God was coming to one of His sons, and He knew it. And Joseph knew it. And I know it. Our Heavenly Father knows what you are worrying about right now. He knows not only that your heart aches; He knows why. He knows what makes you happy and what is a relief to you right now. He more than hears your prayers, He knows your mind and heart. He knows your history. He knows your baggage. He knows your family relationships and the influence they have had on you, good and bad. He knows who has hurt you. He knows who hasn’t been fair as they’ve dealt with you. He knows who you’ve lost. He knows your heart still quietly weeps for children that never quite made it into the busy part of mortality. He knows about the spouse that left. He knows about the spouse that never materialized, the children that were hoped for but not seen. He also knows of your intentions. He knows your desires. He knows what you would have done. This entry was posted in LDS, Mormonism and tagged answers to prayers, does God answer prayers?, God, Heavenly Father, jesus christ, Joseph Smith, LDS, Mormon, Neal A. Maxwell, the church of on April 22, 2014 by BJM. It is one thing to hear about something. Especially good if whoever tells you about it is good at explaining things with detail and passion. But, as they say, it is another thing to experience it yourself. I believe that the Savior wants us to experience the gospel for ourselves. But it goes deeper than that. Most of the world doesn’t know that Jesus Christ visited the Americas after His ministry in Jerusalem, though he hinted to the fact during His mortal ministry in the Old World (John 10:16). That visit to the New World is rich with principles, truths, doctrines, and teachings. One of the most powerful moments has less to do with words and much to do with action. Importantly, the people come forward to feel those tokens of the Atonement, but they came forward “one by one” (3 Nephi 11:15). Apparently there were at least 2500 people in the large group (3 Nephi 17:25), which would have created quite a line. If each person touched the Savior one at a time, and each person had ten seconds to do so, this experience lasted roughly seven hours. Seven hours. I realize that there is a lot of information we don’t have. I don’t know if each person had ten seconds. I really don’t know. But I know that the Savior was willing to take a significant amount of time to allow each person to have a person experience with His sacrifice. The Savior wants each of us to have an individual, one on one experience with the atonement. How does that happen now? Rather than just read about or hear about other people’s experiences with the atonement, we need to come unto Christ through the process of repentance. When we strive to repent, we experience the power of the atonement in a very personal, private way. Once that happens, we become not only beneficiaries of the blessings of the atonement, we become witnesses of the reality of Jesus’ sacrifice. This entry was posted in LDS, Mormonism and tagged 3 Nephi 11, Book of Mormon, jesus christ, Jesus in the americas, repentance, the atonement, The Church of Jesus Christ of Latter-Day Saints on February 12, 2014 by BJM. You just never know. I know my students pretty well and I still almost never know what they’re going through. I mean what they’re really going through. I suppose that for the most part, it isn’t my business to know. I pray for Heavenly Father to inspire me as I prepare and teach and to inspire the youth as they participate in the lesson. Only He really knows the hearts of the students, so He is in the perfect position to deliver the principles taught in the lesson to their hearts, perfectly packaged in a way that they will recognize as being a personal gift. I’m thankful for that. There was a moment in the Book of Mormon where believers in Christ were going to be put to death for their faith (3 Nephi 1:1-9). Non-believers had chosen a date (randomly, I’d presume) and drawn a line in the sand. If the signs of Jesus’ birth didn’t come about by the date chosen, the believers would be killed (v. 9). 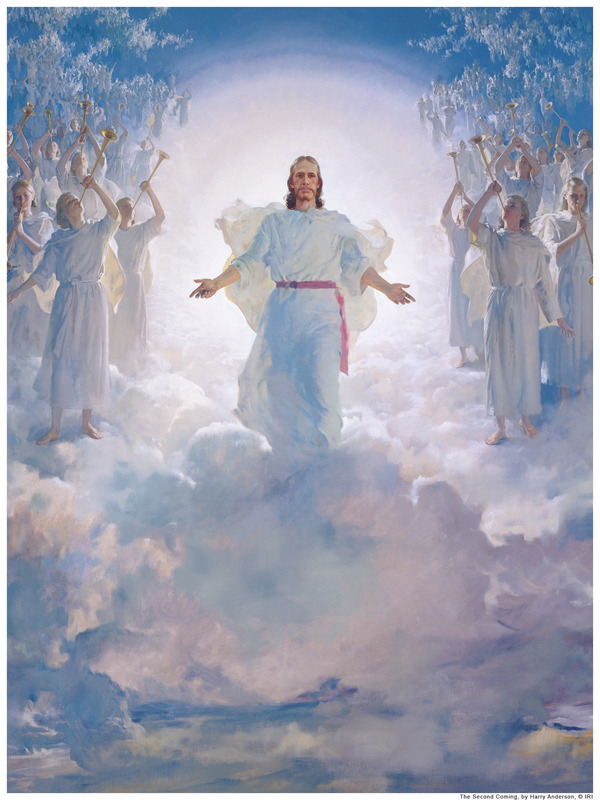 The believers had been watching for the signs of Christ’s coming, and they had been watching steadfastly according to the scriptural account (3 Nephi 1:8). But when the non-believers challenged the believers with death at a certain date, the test of watching steadfastly became much more serious. It is one thing to believe. It is another to believe with a consequence for believing in the wrong thing. There is much to the story, both written and not recorded, I’m sure. 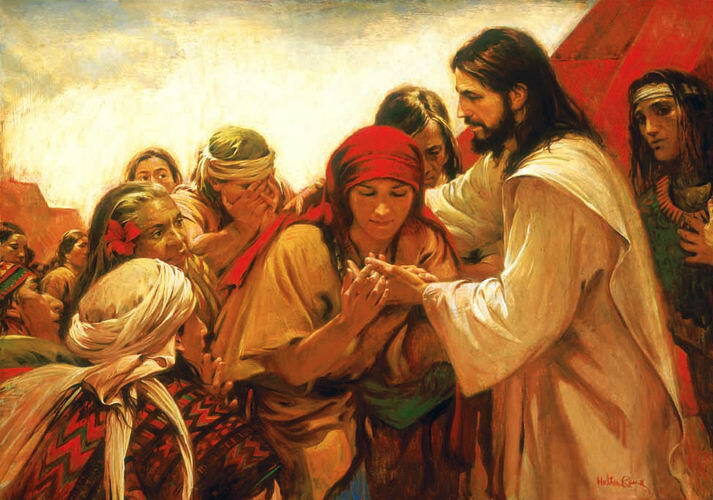 But Jesus did come (3 Nephi 1:12-21). The believers’ faith was not in vain. The promises of the prophets were verified and their faith was rewarded. And this is how it goes when we’re considering the promises of God. This entry was posted in LDS, Mormonism and tagged 3 Nephi 1, 3rd Nephi 1, faith, jesus christ, LDS, Mormon, steadfastly, the book of mormon, The Church of Jesus Christ of Latter-Day Saints on February 5, 2014 by BJM. I get to watch the youth of our church, and many other churches, doing great things and being great people. We’re absolutely not raising a bunch of whiny, selfish people. We’re seeing smart, kind, hard-working young people growing into adults. I have a lot of confidence in the future due to what I see in our youth. I’m seeing large pockets of people who are balanced, dedicated, honest adults. I’m seeing that people who don’t believe the same as I do still impress me and make me see that the Light of Christ is covering the earth. In fact, I’m thankful to know that people who are on the opposite side of the voting issues relative to me actually line up with what I value on about 90% of life. That gives me hope. The scriptures and the prophets have promised some pretty exciting things that are yet to be. We’ve seen a lot of miraculous events lately regarding the spread of the gospel, the efforts in family history work, and the strengthening of our youth, but we have very exciting things around the corner. That bodes well for this planet. As dark as things sometimes seem, this isn’t 70 A.D. The Church of Jesus Christ is not falling into apostasy like in the meridian of time. We’re not losing church leadership and rebelling, en masse, against the apostles. The story goes a little different in the latter days in that the light of the gospel will not go out…In fact, the Light of the World will come. I believe that Jesus will come again, as He promised, and that is how things end this time. There’s more, I’m sure. I feel good about life here on earth, even in light of the negative things that seem to be increasing. 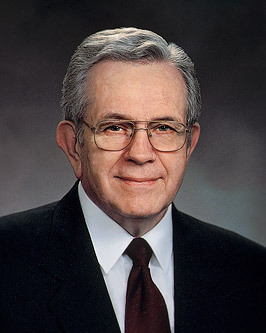 This entry was posted in LDS, Mormonism and tagged boyd k. packer, Jeffrey R. Holland, jesus christ, LDS, Mormon, October 2013 general conference, Satan, The Church of Jesus Christ of Latter-Day Saints, The future of this world has long been declared, The key to spiritual protection, the last days, the second coming of Jesus Christ on January 26, 2014 by BJM. This post is for you. Well, what I mean is, this post is intended for a person who was recently invited to attend a Mormon worship service. Attending church with the Mormons is a lot like other church’s services, but also different. Hopefully this post will help make your first trip more enjoyable. First of all, there is a webpage that will give you an “official” explanation of what will happen at church. You really should check it out. You’ll find it here. Maybe don’t read any thing else until you read that. 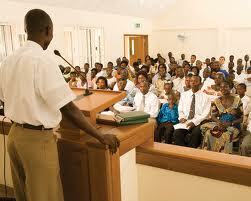 No one in the local congregation gets paid to preach or give sermons. In fact, no one is really trained to give sermons. I mean, there are some good speakers who you’ll really enjoy, but I think you’ll notice that who ever is speaking to the congregation is pretty nervous and is only doing it because they’ve been invited to share some thoughts on whatever gospel topic is assigned. Though you won’t always hear a “polished” talk or sermon, you will hear people speaking from the heart, from the scriptures, and from personal experience. Usually the first Sunday of the month is for anyone to go to the microphone and share their testimony. Each month we have the opportunity to share some of the simple truths that are in our hearts. Again, these aren’t professional clergy but are your neighbors who might be school teachers, stay-at-home parents, plumbers, physicians or just about any other profession. I think you’ll find it interesting to hear people just speak, unprepared, on the very basics of the gospel. Because anyone can get up, you might hear some people share some things you’re not used to hearing in church, but most of what you hear will feel very familiar. Sometimes people get so nervous they don’t say exactly what they had planned on saying. But most of these micro-talks are about the central basics of our beliefs. Mormons are taught to be welcoming to visitors and I think you’ll find that a lot of people will shake your hand, ask your name, and generally welcome you. Now, there is a chance that not everyone will. Some people will keep to themselves. You know, as much as we enjoy church, sometimes people in church are struggling with a tough week or day and they may keep to themselves. Don’t take it personally. They are happy you’re here, they just need a Sunday to feel close to Heavenly Father and to feel some peace. They’ll warm up next week. If you are attending church in your neighborhood, there is the chance you’ll recognize some of the congregants. You work with Mormons. You’re neighbors with Mormons. Heck, one ran for President of the United States recently (technically, two did). You may also recognize a person or two that hasn’t quite lived up to what the Mormons profess to believe. Again, that’s ok. That’s why they’re there. Cut them a little break and get to know them a little better. They’re probably trying. You’ve already read about this, but Mormons do have “communion”. We call it “sacrament” and we eat a piece of bread and drink a small cup of water to remind us of the Savior’s sacrifice and our baptism. I just read on some site that people who aren’t Mormons aren’t allowed to take the sacrament. Of course you are allowed to take the sacrament if you’d like to! 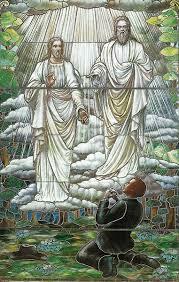 If you choose to join the LDS church and are baptized, the sacrament will become even more significant to you. Give it a few weeks. Part of Mormonism is the feeling of community and family. There’s more to it than that, but if you’ll attend for at least a few weeks and maybe come to a mid-week activity with a friend, you’ll feel more comfortable. Lastly, pay attention to how you feel while attending church. Even if the sermons aren’t professionally prepared; even if not everyone flocks to you and hugs you; even if you see a few (or a lot) Mormons who don’t set the perfect example; I think you’ll feel the Spirit of God during the meetings. Stick with it. We’re happy you’re here! Well, there’s more, but go give it a shot. If you have questions, lean over and ask someone around you. Or, come back here and shoot me an email. I’d be happy to help! This entry was posted in Mormonism, Mormonism 101 and tagged attending a mormon worship service, attending mormon church, Book of Mormon, Church of Jesus Christ of Latter-Day Saints, jesus christ, Joseph Smith, LDS, Mormon, mormonism, sacrament meeting on November 10, 2013 by BJM.